3. 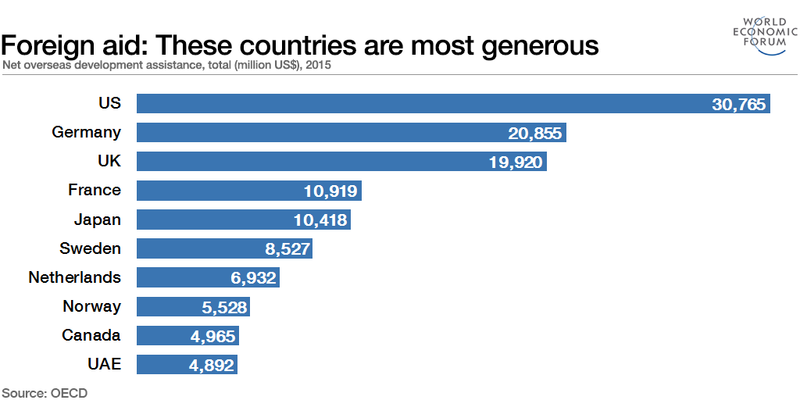 US citizens in their private lives outside of government are the most charitable on the planet. 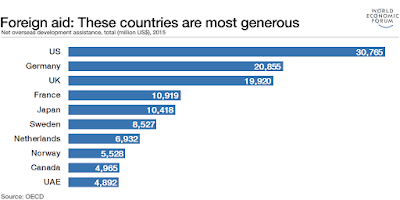 http://www.independent.co.uk/news/world/americas/america-new-zealand-and-canada-top-list-of-world-s-most-generous-nations-a6849221.html - Charitable giving by individuals as a percentage of GDP in America was recorded at 1.44%, in New Zealand at 0.79%, in Canada at .77% and in the UK – which came fourth globally – at 0.54%. 4. Trump is Right about foreign aide.